The founder of the Movement Shiloh Sophia explains "it is a movement moving through our world right now with a vision of healing. A movement where the individual and their story can be transformed from the inside out- not from an outside source or external medicine/healer. This transformation happens by the choice of the one telling the story in the first place. The one who is at cause for changing it in a way that works for the creation of their lives. Through choosing to create with intention, we become empowered to be the author of our future". 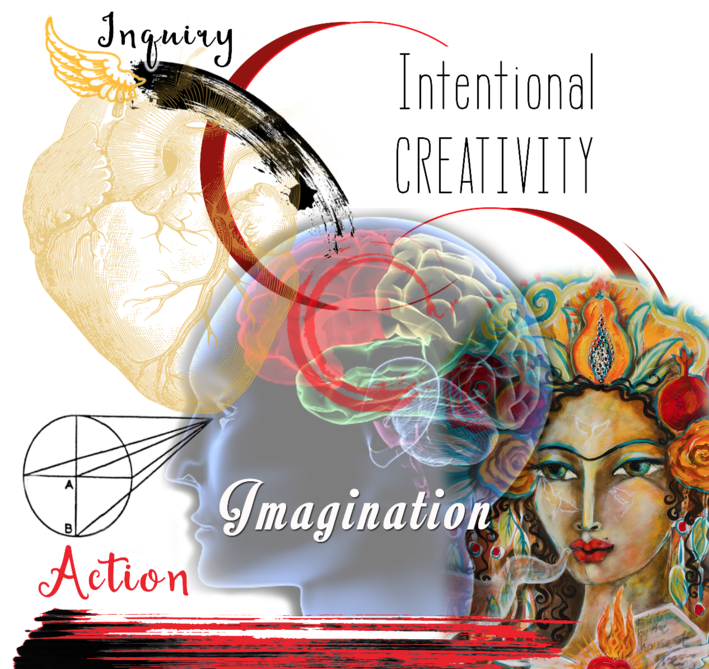 ​Intentional Creativity uses the Muse (the voice of guidance that feeds you rather than feeds off you), we go on a visioning journey together to find her and gather the medicine, gifts, tools, or knowledge she has for us. The canvas is the portal through which we make a more physical contact and painting and writing are the tools used to assist the Muse to emerge into being. YOU DO NOT HAVE TO SHARE YOUR STORY WITH ANYONE! Meet your Legendary Self, spend the day journeying to find her and through deep listening hear her whispers to you. What will her message be for you? I will guide you through the step by step process as you bring your image to life using Intentional Creativity and Intuitive painting techniques. From this in-depth personal experiencing you will leave not only with your legendary self on the canvas but with a depth of knowledge about yourself from the exploration of your interior. Come and join a small group for a day of fun, painting and chocolate while accessing your left and right brain via visioning, writing, creating and journeying together. Come explore the interior terrain through the practice of intentional creativity. Paint your heart and articulate the wounded places through the process which brings them into the light. Connect with your heart and light the flame of your hearts desires. Choose to live through the eyes of the illuminated heart. We will start with a base painting of the heart, then explore connection with the terrain of your heart. A great complicated space that has so much to teach us. Healing it through creativity. - specifically intentional creativity. This is the work I do to heal my own heart. I engage in a very specific writing and painting process of mapping out the shadow aspects. 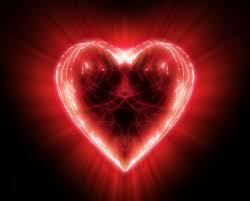 Through this process I have become very conscious of how to heal my heart, but not just heal it, open it up. This opening up allowed for enough overflow to be able to share it with you. If you are New to painting and intentional creativity working with the heart can feel scary but you just need to feel called to this and I will handle the rest during class. Here is what to expect, I set the space for the days intention, we open with a red thread circle then we will begin to put paint on the canvas. NO EXPERIENCE needed. Each of us will be painting our own illuminated heart, We will map out an anatomical heart followed with a visioning of the terrain of it accessing the eye of the heart. Next we will map out the wounded places that you are ready to shed light on and have illumination about. We will each choose areas to work with that are still holding us back.....no matter how much healing we feel we have done- or feel like we are In need of. Usually this relates to stories in our lives, experiences we have had that we can not shake off. Contrary to this being a downer experience, accessing these places through conscious inquiry and intentional creativity often immediately brings light to the subject. Through our denying it, it festers like a wound- through opening to it and being open to it, light comes. We complete the heart by bringing it medicine of colour and beauty to create the illuminated heart, and finally, light the flame of the sacred heart.